With real stories from real schools, this book offers an alternative vision of school improvement. 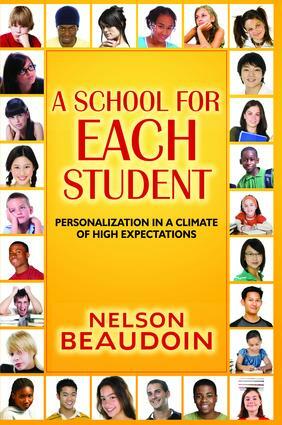 Instead of a one-size-fits-all approach, author Nelson Beaudoin presents practical strategies which put students first. The real-life examples in A School For Each Student place students at the center of the equation and treat them as individuals who are born to learn. Written as a resource for professional development, this book study tool provides a refreshing look at the possibilities of student and educators. Also featured are the 12 R's, which include being Reflective, Rigorous, Respectful, Responsive, Resilient, and more.